Seven hours to go before an exam, clock ticking away, coffee in hand and staring at a daunting list of things left to study – this is the familiar experience of cramming before an exam. While it is inevitable sometimes, experience has taught us that we forget this material just as quickly as we learned it. Cramming works great for rushing to proficiency, but fails us when it comes to knowledge retention. This surely isn’t the goal of our education system and course designers. The question then becomes, “How do we structure courses for long-term learning and knowledge retention?” and “How do we emphasize learning for knowledge instead of grades?”. Do you know why 0-8-1-1-2-9-8-3-2 is a hard number to remember, but chunking the digits into 081-129-832 makes it easier to do so? This is because our short-term memory can only hold seven chunks of information at once; therefore nine single digits is information overload, whereas three chunks isn’t. This is why we format our telephone numbers this way! George Miller of Harvard introduced this concept of chunking, explaining that breaking large amounts of information into smaller parts helps us to grasp it quicker. But how do we move this information from short-term memory to long-term, where it can be stored for years? Making connections to existing concepts and grouping chunks together to see the bigger picture is a great way to move ideas into long-term memory. 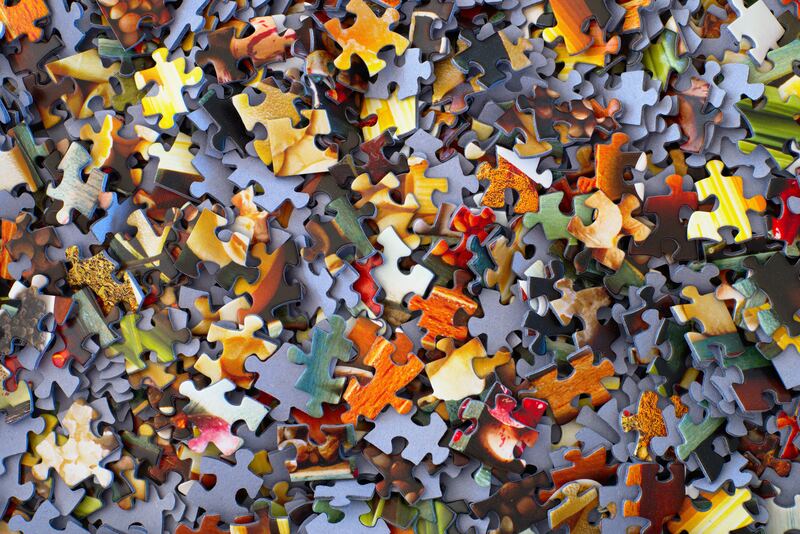 In order to master a concept, you need to know how it fits into the bigger picture, just like a puzzle piece. This is why books have a table of contents to glance through the topics, and instructors start with the bigger picture before diving into details. Divide content into smaller lectures that are easy to grasp. Use relevant analogies to help learners identify patterns between previous knowledge and newly learned content. Have an organized outline of topics to illustrate the big picture or include a mind map for non-linear concepts. Introduce the course by talking about high level ideas and real-world applications of the course material. It’s common to have a sense of familiarity with notes after glancing at them for hours. However, there is a difference between recognizing content and recalling it. Often, education programs involve plenty of reading with little to no testing until the very end. Do you find yourself reading a book but having trouble remembering its contents later? That’s our short-term memory coming into play again. Dr. Jeff Karpicke’s research about retrieval practice provides scientific support to show that summarizing and recalling material you are trying to learn at frequent intervals is more effective than a long reading session. The ongoing practice of recalling content takes it from short-term memory to long-term memory. It’s worth noting that mistakes made at this stage and correcting them is also an important step towards solidifying concepts. Add short practice quizzes at the end of every lecture. Encourage discussions with peers right after core concepts are introduced to organically involve summarization and reflection. This comes with the added bonus of learning takeaways from multiple perspectives. In 2009, Nate Kornell at the University of California, Los Angeles, found that spacing out learning was more effective than cramming for 90% of the participants who took part in one of his experiments – and yet 72% of the participants thought that cramming had been more beneficial. We don’t expect one big meal to curb our hunger for days, and neither can we expect one long study session to solidify our learnings. Robert Bjork’s research found that people forget their learnings at a predictable rate, but learning in short bursts of time and relearning the material at spaced intervals dramatically improves long-term recall. Additionally, each time we relearn something, we grasp somewhat different things from it, especially if some time has passed since the previous study session. Spread out content over many sessions and over different modes of learning. Add tasks, activities, or assessments for relearning content over spaced intervals. Along with these learning methods, encouraging the right mindset can go a long way. Learners with fixed mindsets focus on short-term performance goals, whereas learners with growth mindsets tend to have learning goals and embrace challenges. By emphasizing long-term learning and knowledge retention with these structural methods, we nudge learners to adopt a growth mindset and seek lasting knowledge. Are you interested in learning more about designing online courses? Join us for our free online course, Foundations of Learning Experience Design.